'The Pink Floyd and Syd Barrett Story' is a documentary released on DVD on 24 March 2003, produced by Otmoor Productions in 2001 as part of the BBC's Omnibus series and originally called Syd Barrett: Crazy Diamond (in the US, a slightly modified version aired as the last episode of VH1's Legends series in January, 2002). Directed by John Edginton, the film includes interviews with all the Pink Floyd members - Roger Waters, David Gilmour, Nick Mason and Richard Wright - plus the "fifth Pink Floyd", Bob Klose, who left the band in 1965. The film includes rare early television appearances of Pink Floyd and home movies. One of the most famous creators and characters of the psychedelic era, Syd Barrett has not conducted an interview or released music since the early seventies yet his self-imposed anonymity still fascinates fans old and new. The original songwriter for Pink Floyd was only with the band for a vibrant 3 years when he left in 1968, yet when the band released their greatest hits album in 2001 Syd had written over a fifth of the tracks. It's been over 35 years since Syd Barrett left the band yet mystery still surrounds this prodigy of rock. The Pink Floyd and Syd Barrett Story retells the fascinating story of the start of one of the largest and most influential bands in rock and the drug induced breakdown of their original song writer and lead man. The release of this personal and candid profile of the once effervescent musician and now cult figure of Syd Barrett. 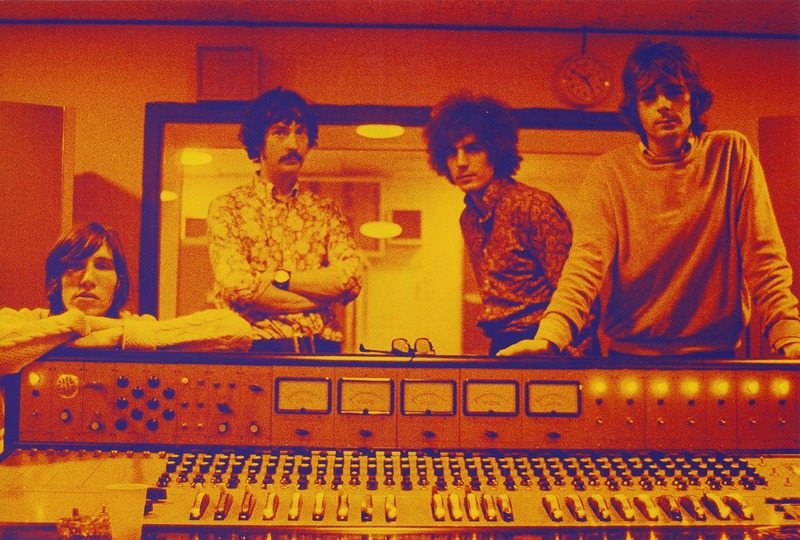 Roger Waters, Dave Gilmour, Nick Mason and Rick Wright retell how Syd's slip from reality haunted the band for many years and this is clearly demonstrated in the tracks Shine On You Crazy Diamond and Wish You Were Here. There are also insights from former girlfriends, landlords, flatmates, producers, managers, friends and famous fans. Also featuring rare early footage of the band performing; including a live show at the UFO Club, and an appearance with former landlord Mick Leonard on Tomorrows World. The focus of the film is Syd Barrett, the lead vocalist and guitarist of the early Pink Floyd, who created their unique psychedelic sound and most of the band's early songs, including the singles "Arnold Layne" and "See Emily Play" and much of their first album The Piper at the Gates of Dawn. Syd Barrett's name passed into rock folklore when he quit Pink Floyd in 1968 and, after two extraordinary but erratic solo albums, disappeared from music altogether amid rumours of a drug-induced breakdown. 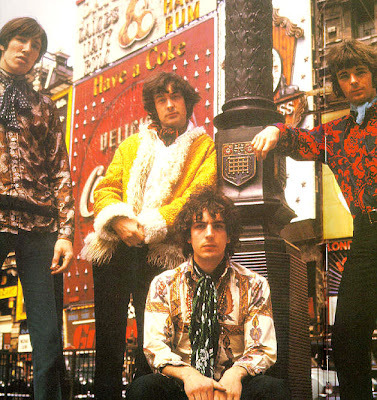 The Pink Floyd and Syd Barrett Story has contributions from Humble Pie drummer Jerry Shirley (who played on Syd Barrett's two solo albums The Madcap Laughs and Barrett as well as Syd's final London concert on 6 June 1970 with David Gilmour, when Barrett abruptly left the stage after playing only four numbers), bassist Jack Monck who played at Syd's last ever public concert in 1972 at the Cambridge Corn Exchange, producer Joe Boyd who produced Arnold Layne, photographer Mick Rock who photographed Barrett for The Madcap Laughs cover, and artist Duggie Fields who shared an apartment in London's Earls Court with Barrett in 1968 and witnessed his changing mental state at close hand. According to his sister, Barrett actually watched the documentary when it was broadcast on the BBC. He apparently found it "too loud", although he did enjoy seeing Mike Leonard, who he referred to as his "teacher". He also enjoyed hearing "See Emily Play" again. Syd quickly became the main songwriter, and named the band after two Georgia blues men Pink Anderson and Floyd Council. Their experiments with feedback and electronic sound quickly made them the hippest band among London’s early psychedelic set. Whilst Pink Floyd were experimenting with sound and light they also started experimenting in the other side of London’s psychedelic set - drugs. Some thought that with the aid of drugs Syd was more liberated and had the freedom to write memorable songs. Nevertheless his grasp on reality was slipping away. He didn’t turn up for interviews and started to refuse to perform though he’d quite happily practise. His behaviour became so erratic that an American tour had to be cut short. Syd went on to release two solo albums The Madcap Laughs and Barrett in 1970. After the poor reception of the second album Syd retreated to his mothers house in Cambridge. Back at home he joined up with some Cambridge musicians and formed The Stars. But Syd's involvement was like his attention span, short. During the following years Syd moved between London and Cambridge staying on friends’ floors. In the mid 70s he even turned up at the studios where Pink Floyd were recording Shine On You Crazy Diamond the song written about Syd. In 1978 he got tired of London and walked back to Cambridge, where he now lives, calling himself Roger Barrett having left Syd behind. The Pink Floyd and Syd Barrett Story is a moving portrait of a cult figure. LSD : Albert Hofmann's Wonder Child !